Carbon monoxide poisoning results from a build-up of carbon monoxide, a colorless, odorless gas, and can be fatal. The typical sources of excess carbon monoxide (CO) are very common during the winter, so it’s especially important to be on the lookout for symptoms of carbon monoxide poisoning and take steps to avoid it in your home. Learn about the sources of excess carbon monoxide, the symptoms of carbon monoxide poisoning, and how it can be avoided in this blog. Carbon monoxide is found in the fumes created from burning fuel in cars or trucks, small engines, gas stoves, lanterns, grills, fireplaces, gas ranges, or furnaces. When trapped indoors, CO can build up and poison people and animals who breathe it. The symptoms of carbon monoxide poisoning are often described as “flu-like.” They frequently include dizziness, weakness, headache, chest pain, confusion, upset stomach, and vomiting. Prolonged inhalation of CO can cause you to lose consciousness or even die. People who are drunk or sleeping can die from carbon monoxide poisoning even before showing symptoms. Everyone is at risk from carbon monoxide poisoning, but infants, the elderly, and people with heart disease, breathing problems, or anemia are more likely to be affected by CO.
An important part of preventing carbon monoxide poisoning in your home is keeping any fuel-burning (gas, oil, or coal) equipment and appliances well-maintained. 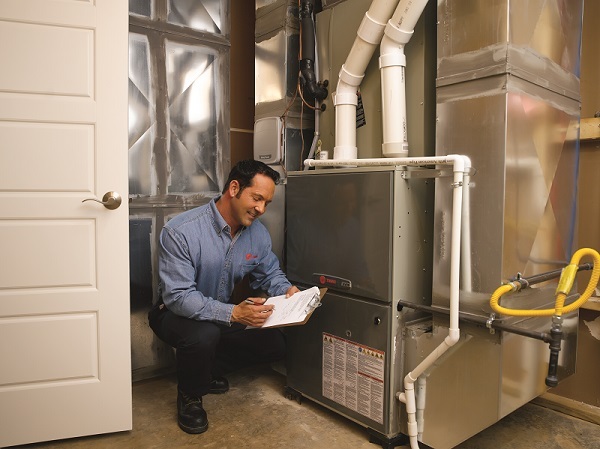 Your fuel-burning heating system and water heater should be serviced by a professional once a year – before the heavy use of the cooler winter months is a good time to do this. You should also install a battery-operated CO detector in your home in a location where it will wake you if it sounds while you’re asleep. Check the batteries at least twice a year and replace them as needed. If the carbon monoxide detector alarm sounds, you and your family should leave your home immediately and call 911. Other ways to prevent a potentially deadly build-up of carbon monoxide include: not using portable heaters or generators indoors; making sure fuel-burning appliances are vented properly; and checking your chimney is clear and cleaning it if necessary. If you suspect you or a family member has carbon monoxide poisoning, seek medical attention right away. For help making sure your home heating equipment is not releasing excess carbon monoxide, contact Precision Temperature, your San Diego HVAC experts! Call (610) 588-5321 or use our online contact form. When you’re choosing a new HVAC system, one of the factors your San Diego HVAC technician will present you with is each potential unit’s SEER rating. But what does the SEER rating mean and how should it factor into your decision about what HVAC system to choose? 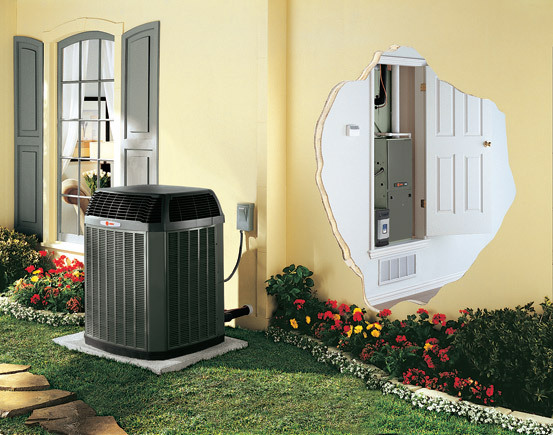 An air conditioning unit’s efficiency is often measured by the Seasonal Energy Efficiency Ratio or SEER. The air conditioner’s SEER is calculated by dividing the unit’s cooling output during a typical cooling season divided by the total electric energy input during the same period. In the U.S., the SEER is the ratio of cooling in British thermal units (BTU) to the energy consumed in watt-hours. The higher the HVAC unit’s SEER rating, the more energy efficient it is and the more money you could potentially save on your energy bills. Since January 1, 2015, the U.S. Department of Energy has required that all new air conditioning systems installed in California must be a minimum of 14 SEER or higher, so you can’t choose one below that threshold. However, choosing the HVAC system with the absolute highest SEER rating may not be the correct decision either, even though a higher SEER rating can mean more efficiency. Your purchase decision must also be based on the square footage of the area you are trying to heat or cool. A unit that is too big for an area will not yield any efficiencies but will actually overcompensate, while a unit that is too small will have to work overtime, driving up utility bills and putting strain on the HVAC equipment that will cause it to wear out faster. You’ll also need to consider other factors that influence the temperature in your home or business and how they can impact energy efficiency in order to fully realize the potential savings of your new HVAC system. Make sure your building is properly insulated and sealed against air leakage and radiant energy; you can check out our blog for tips on weatherization. Your local San Diego HVAC professional can help you decide what size heating and air conditioning unit your home needs, recommending the SEER rating that will help you achieve maximum savings both short- and long-term. Call Precision Temperature today at (619) 588-5321 to upgrade your HVAC system and start saving on energy bills today!